Share the post "Buy Me a Pie! Turned up to iOS 11"
iOS 11 opens fantastic possibilities for mobile apps – and to take full advantage of them and keep up with the times we are releasing the new update for the Grocery Shopping List – Buy Me a Pie! app this September. It is going to highlight the amazing features of the new operating system and make shopping experience far more personal and convenient. Thanks to the new design the app looks like it is a part of iOS 11. We made it appear lighter and added some air to its appearance. Instant filling up your shopping list. To have a product added to the shopping list, just ask. This is the feature much anticipated by the users of the app. Drag and Drop support in the app for iPad. Import as quick as a flick. Drag an Drop has made shopping list import much easier and quicker. Came across a right product in a recipe blog or while chatting with your colleges? Just move it to your shopping list. You can drag the whole list of ingredients as well. The suggestions in the product adding section reflect your own daily habits. The app remembers which products you add to the lists more often and what you would rather buy with coffee or oranges. More handy than you can imagine. Any list can be dragged to top by a single tap. The feature has brought more order to your shopping lists. Find necessary products in a wink. The crossed-out products are now sorted alphabetically, which helps to find the necessary one and tap it back to the active list.And if the item has just been marked as bought, it is placed at the very top of the crossed-out section to be easily brought back to the list. The new version uses haptic feedback when a product is marked as bought. This is one more feature that prevents you from crossing out a product by mistake and an elegant detail that makes the app experience more enjoyable. 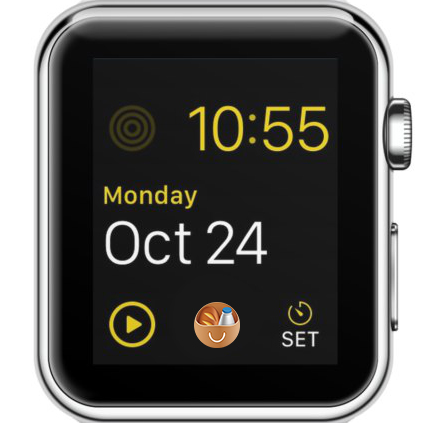 Shopping lists available on the watch face. Quick access to your shopping lists directly from the watch face on your Apple Watch requires no additional movements to open the app. Working time on Apple Watch. The app will stay on while you are in the store picking products – no need to open it over and over again. ← New “Buy Me a Pie!” App for Mac Released! When I try to add an item to the list using Siri, she tells me that I don’t have a shopping list and asks me to create one. When I say, “Yes,” she creates a list within the native Reminders app. I would like to add products using Siri. But Siri says she can not. Is it because I have Swedish Siri? I’d love to use the Siri feature, but Finnish Siri simply won’t understand the phrase “Buy me a pie”. Also with Alexa (in English) it’s simply too inconvenient to say such a long name. You should seriously consider renaming the app or making some shorthand word for it.